Dowsing Archaeological Features - GIS plot of CT.
12a. 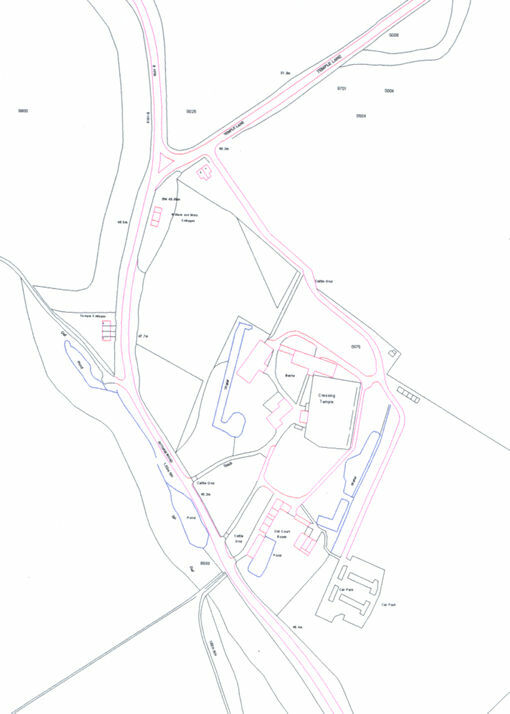 GIS generated plan of Cressing Temple in 1999. 12a. GIS plot of Cressing Temple taken from the latest OS software running on ArcView 3.1. It is an object lesson in the trustworthiness of modern digital maps. Early maps were drawn to commission and the recipient would have had the opportunity to correct any failings. For this reason older maps and especially the First Edition OS created for the army have been shown to be relatively accurate.